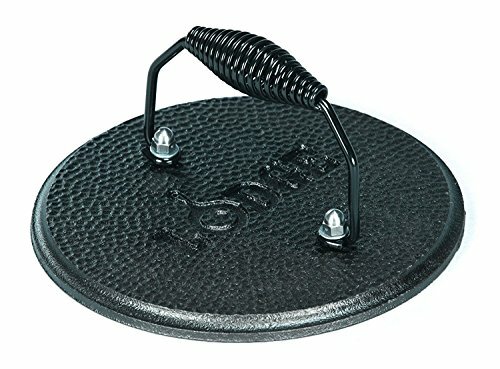 Round cast-iron grill press for squeezing fat from meats or flattening bacon. Preseasoned with vegetable oil and ready for immediate use. 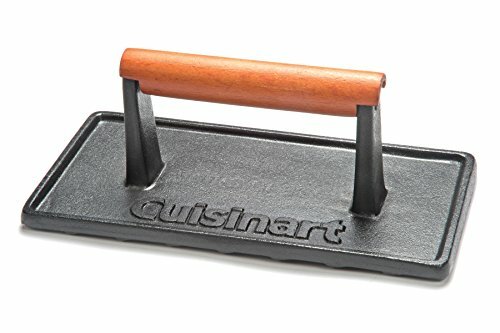 Heavy-duty cast-iron base and "cool grip" spiral handle. 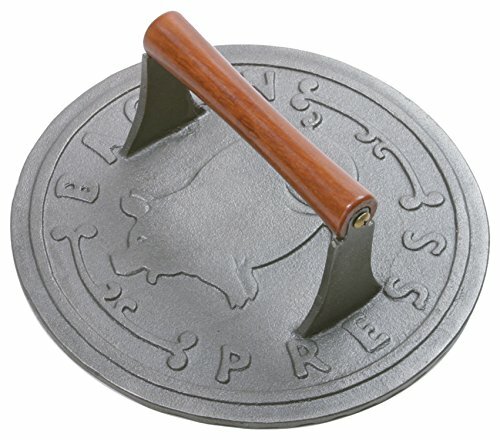 This heavy duty bacon press will allow you to cook your bacon fully without worrying about it curling up. Achieve the perfect crisp with your bacon in half the time! 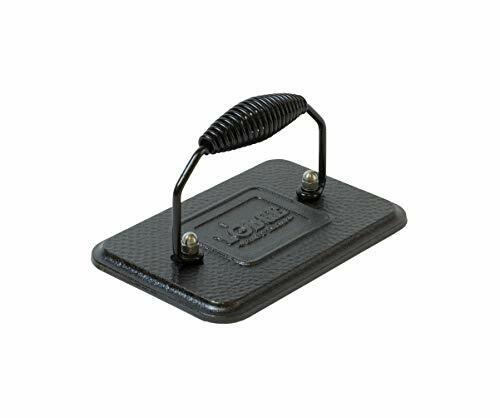 Can be used for other foods such as sausage, ham, hamburger, hash browns, grilled sandwiches, quesadillas etc. 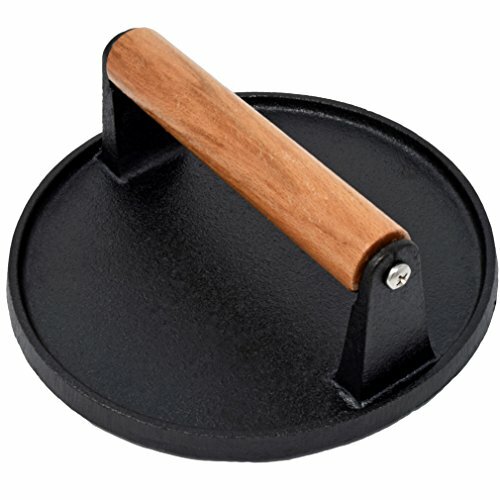 Made of heavy cast iron with a smooth wooden handle that remains cool to the touch. 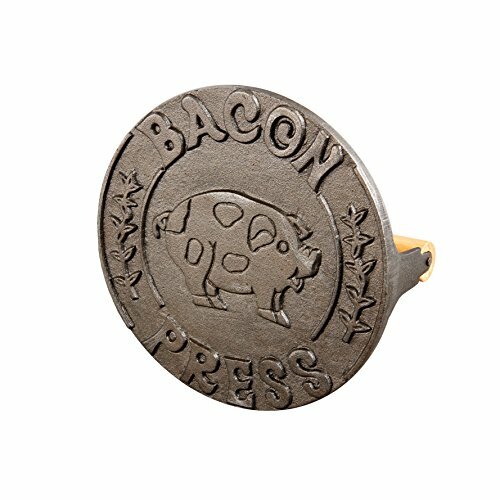 Its circular shape is designed to help you maneuver the bacon press around easily without catching any corners. 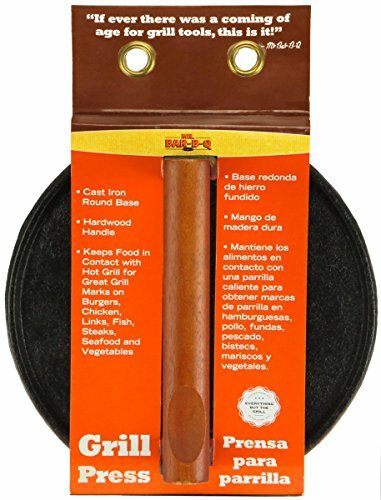 A great tool to have for the kitchen, restaurants, camping, and more. Measures approximately 7"D x 2.5"H with a 5.75"L handle. Easy to clean, simply rinse with water and clean with a damp paper towel or cloth and let air dry. (Not recommended for using in the dishwasher.) 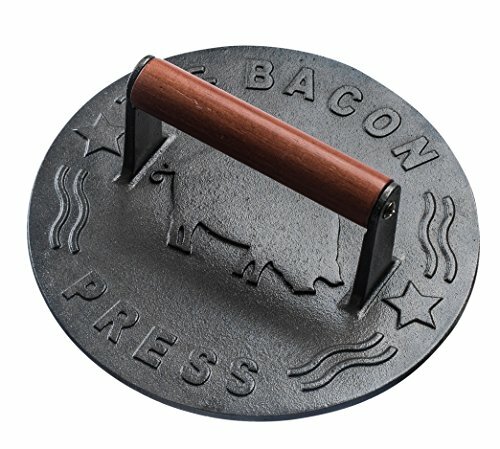 You receive 1 bacon press. To prevent rust from forming, season before and after use with oil. *Evelots is a brand of Green Mountain Imports, LLC and is exclusively distributed by Green Mountain Imports. *Evelots has more than 500 products to offer. Please don't forget to visit our Amazon store. For International Shipments: Import duties, taxes, and charges are not included in the listed price and are the buyer's responsibility. Feeling pressed to grill the best burger? Our cast iron grill press grills burgers flat cooking both sides of meat with even heat while pressing out unwanted fats. Use on the grill or in the kitchen on any grilled meat, sandwich, or to keep bacon from curling. 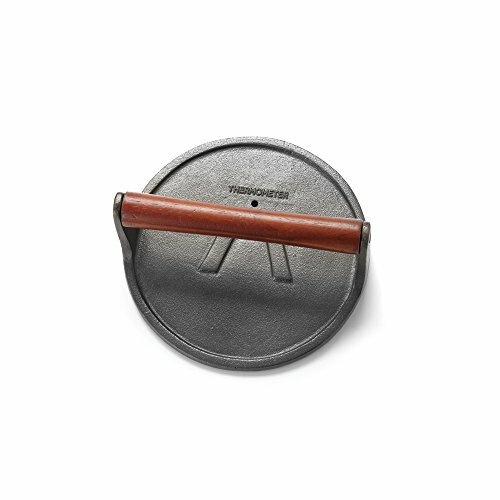 The rosewood handle stays cool for safe and easy handling. Great for both indoor and outdoor use.